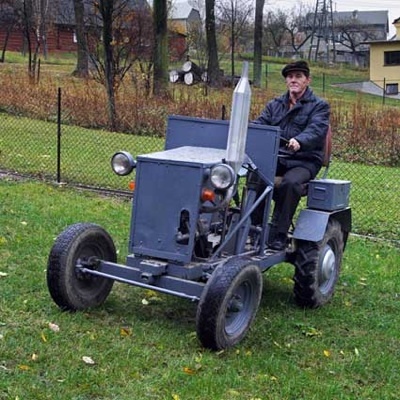 In the ’60s Poland it was almost impossible to acquire a tractor in Poland. Agricultural machines produced by the country were available mainly for state-owned enterprises. For private farmers these tractors were too expensive and they weren’t even robust or efficient enough for the mountain region. Out of necessity they constructed their own machines using spare parts and bits and pieces from whatever machines they could find. Including decommissioned army vehicles and pre-WWI German machines. Lukasz Skąpski, “The Machines”, 2005-2007, Courtesy Żak Gallery.